It’s understandable that when you’re first diagnosed with diabetes, you’ll feel overwhelmed. There’s a lot to learn about controlling your disease and the accepting the reality that if you don’t, it’s going to get much worse. It can also result in a feeling of isolation as you change lifelong eating and lifestyle habits which your family may or not be on board with. But you’re not alone. As diabetes effects a high percentage of population worldwide, it stands to reason that celebrities would fall victim to diabetes as well. Even those with perfect body types have the disease. Here then is a list of some folks you may have heard of and how they deal with their Type 1 or Type 2 diabetes. 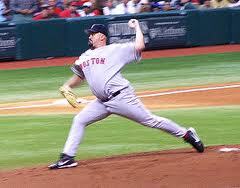 Former MLB leftie pitcher David Wells was one of the best. But he struggled with his weight and alcohol abuse for years. Diagnosed with Type 2 in 2007, he eliminated alcohol, rice, pasta, potatoes and white bread from his diet to get his diabetes under control. Chicago Bears Quarterback Cutler was diagnosed in 2008 with Type 1 diabetes. Cutler wears an insulin pump and vigilantly monitors his blood sugar. The former Arkansas governor and conservative talk show host was diagnosed with Type 2 in 2003. He cleaned up his diet, started running and shed 110 pounds. The weight loss trimmed his BMI from obese to normal and reversed his Type 2 diabetes. Just days before she debuted as cohost of The View in 2007, Sherri received her Type 2 diagnosis. She initially rejected her physicians’ recommendation to change her eating habits and start an exercise program, but she soon began to realize the effect the disease was having on her family. “I had this vision of my son, Jeffrey, who was 2, lying on his bed and crying because he was trying to figure out where heaven was. Because that’s where everyone said Mommy was,” she said. Since then, Shepherd has worked with a nutritionist and personal trainer to help her slim down. Known for his manic energy and thin, muscular frame, the Mötley Crüe drummer has type 2 diabetes. Although obesity is an underlying cause of type 2 diabetes, about 15 percent of those with type 2 aren’t overweight, according to the National Institutes of Health. Type 1 diabetes may have actually helped this Stanley-Cup winning hockey player’s skill on the ice. “Once I learned what different foods do to me and how the combination of exercise and foods works, it became pretty smooth sailing,” he says. A perpetual star on television in the 60’s and 70’s, Mary Tyler Moore has made no secret of her Type 1 diabetes – in fact, she is the International Chairman of the Juvenile Diabetes Research Foundation. At age 30, after a routine blood test at the hospital, doctors discovered a high blood sugar level of 750, and MTM has been taking insulin ever since. Forget what you’ve heard about Halle Berry “weaning” herself off insulin and switching from Type 1 to Type 2 diabetes. That’s impossible, as they are two different disorders. Halle is Type 2. When American Idol judge randy jackson was diagnosed with Type 2 back in 2003, he was obviously obese. Additionally, he was genetically predisposed, as diabetes ran in his family and African Americans are more likely to get the disease than whites. Jackson has since lost 100 pounds, improved his diet and exercises daily. One of the elite, competitive road runners, Missy Foy has Type 1 diabetes. She is the only diabetic runner ever to qualify for Olympic Marathon Trials and took second place at the U.S. 50 Mile National Championships in 2007. She was ranked top ten in the world for the 50-Mile in 2005. Other famous people who suffer from Type 1 or Type 2 diabetes are actress Sharon Stone, 2010 American Idol runner-up Crystal Bowersox, Actress and former Miss America Vanessa Williams, Poison singer and occasional reality tv show star Brett Michaels, singer Nick Jonas, actress Salma Hayek, singer Patti LaBelle, former CNN host Larry King, author Anne Rice, Rage Against The Machine drummer Brad Wilk, Olympic cross country skier Kris Freeman, and many, many more too numerous to list here.